Our church family believe in the power of intercessory prayer. Do you need someone to pray for you or a loved one? Post your prayer requests online and the prayer warriors in our church will pray for you. 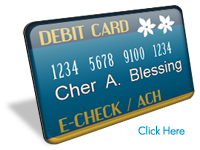 At Metropolitan SDA church, we now provide you the opportunity to be able to give securely online as you desire to give back to the Lord. 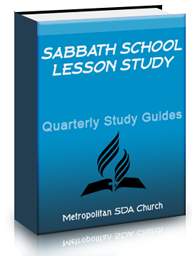 The Sabbath School lessons are available online for your convenience. They are updated automatically every quarter. Just choose the proper category from the links provided below. Who are the Seventh-day Adventists? This short video will explain what Adventists are all about. You can find out more about our world-wide church organization at Adventist.org. We also recommend the video documentary, "The Adventists", which is currently available at Amazon. If you have further questions about our fundamental beliefs, please don't hesitate to contact us. Are you looking for an international Sabbath-keeping Christian church in the community? We are here in TX to serve you and your family!